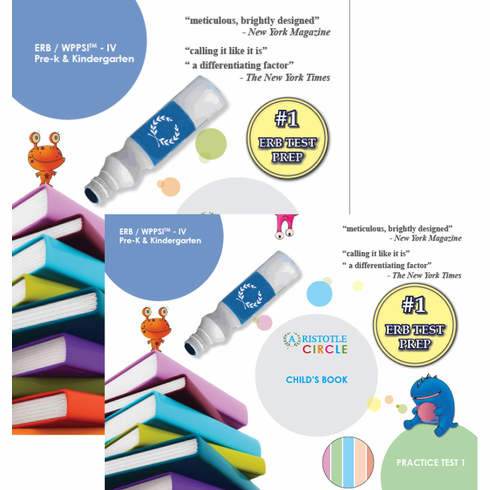 As on the actual ERB/WPPSI™-IV exam, the questions included in Aristotle Circle's Practice tests range in difficulty and are intended for children ages 3 - 7. Aristotle Circle's practice diagnostic tests do not take the place of an assessment by a child psychologist or education or testing expert. These tests, like the actual ERB/WPPSI™-IV tests, may not accurately reflect a child's ability. nor does it endorse or sponsor, the contents of this book.